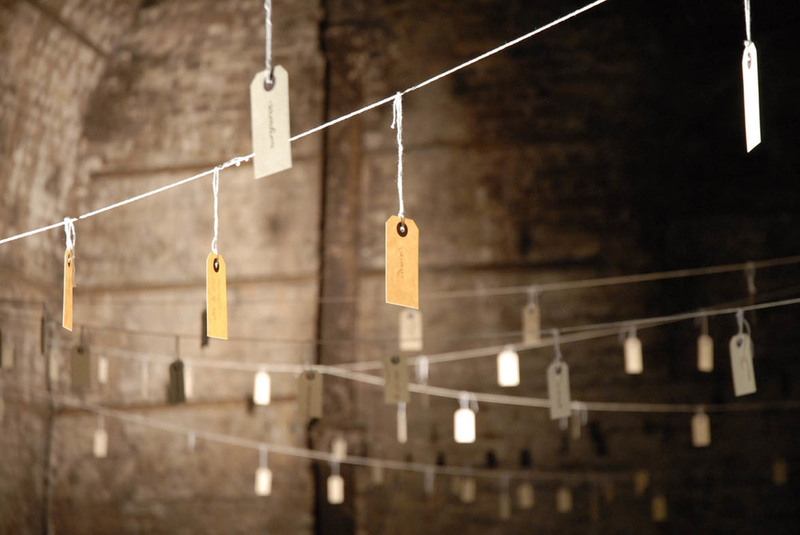 Installation using voice recordings, paper, calligraphy and string with durational performance. In this piece Plum performed for 2 hours reciting words from texts supplied by other artists in the exhibition describing their own work in three languages. She recited them in slow motion singing in order to break through the physical and mental barriers of performance as she regained her voice after illness. 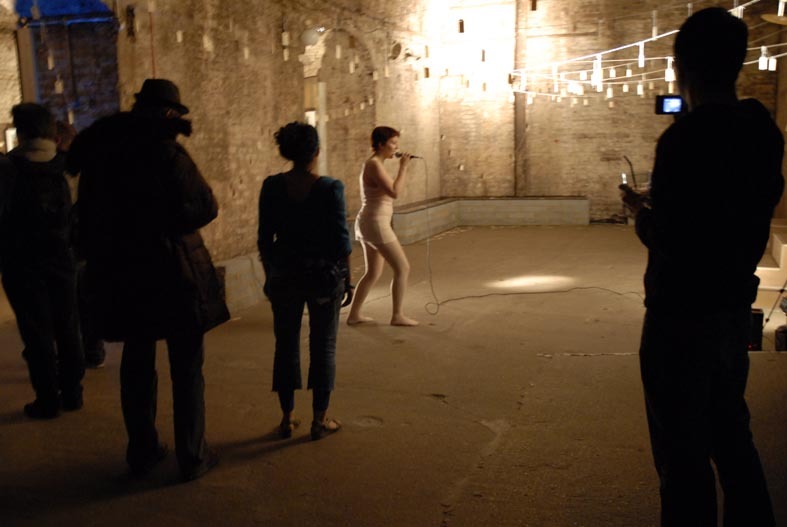 This was a durational performance for 2 hours that accompanied the installation Alter-Native as part of the Metahub collective exhibition at Shunt, London, 2008. In this video you hear the installation soundscape of Ingrid speaking in the 3 languages of the 3 nationalities that comprise the Metahub collective, with words supplied by all the artists describing what they are creating, also written on the tags in the installation. The different stages of the slow motion performance of Ingrid singing the same words are layered, the video itself is no slowed down.